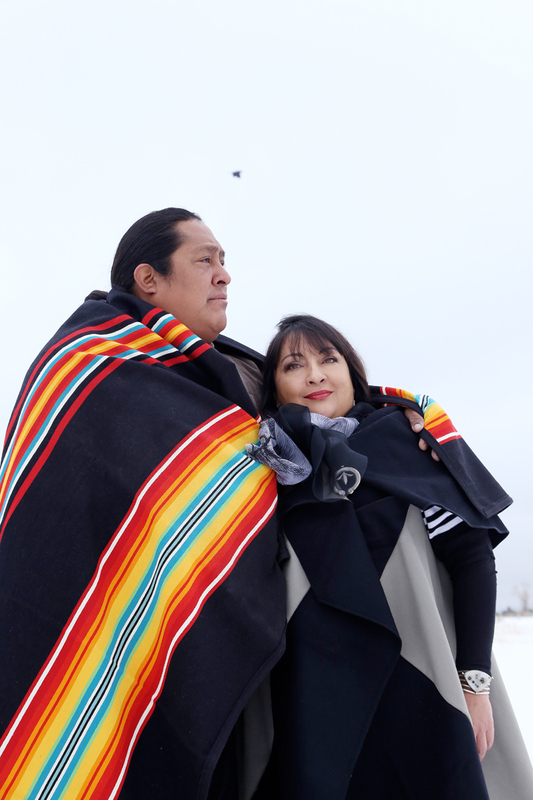 I thought these pictures, by Bill Curry, of Patricia Michaels and her partner James, were the perfect segue from Robert Mirabal’s Pueblo Roots, don’t you? Pat, as many of you already know, appeared on and was the runner up on Project Runway’s Emmy Award winning Season II. If you haven’t already looked at our earlier post on her, click on her name above to see it. Patricia Michaels is a Taos treasure. 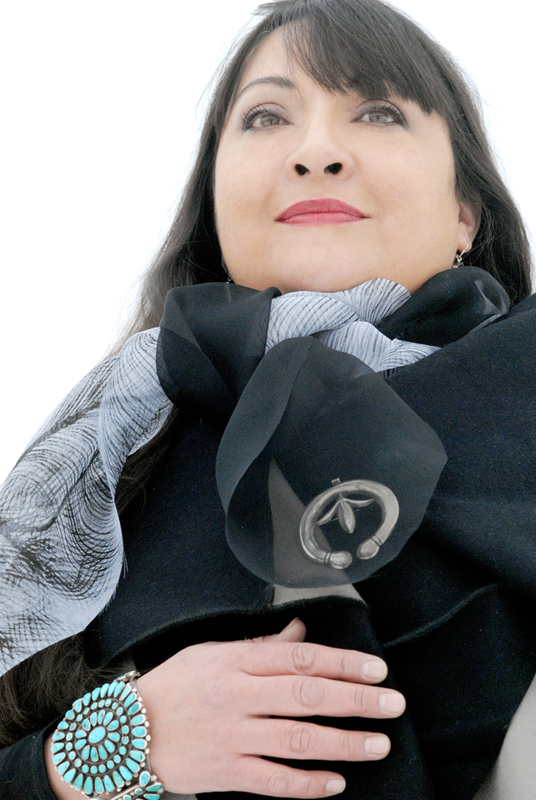 These photographs capture Patricia in a different setting, with her partner James Duran, both of whom stay closely connected to their Pueblo heritage and traditional ways. When we visited Patricia at her studio in early December, she was being very quiet because James was hunting. Patricia of course, is dressed to the nines in one of her own stunning designs. This woman is a veritable dynamo and her accomplishments are myriad. For much more info on her, do visit her website linked below. 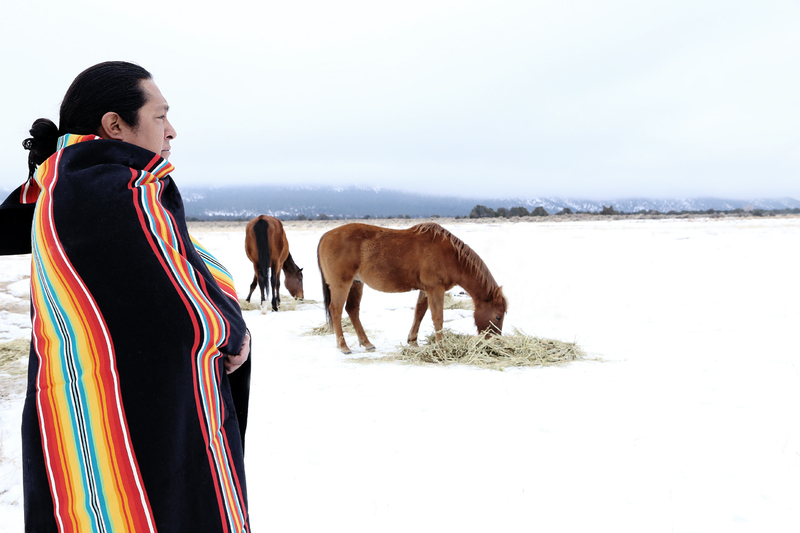 In the meantime, enjoy these gorgeous shots of a winter day, in Taos. Beautiful Lady’s! Thank you Taos for a legendary weekend with my 2 sons! We skied and skied and very much enjoyed meeting the charming people of the Taos Pueblo. All the best to you in the New Year 2015! Thanks Shari for your kind words. I’m sure they are appreciated! Winter is a blessing. So is the relationship between a man and woman..
Hi there! So good to have you on the blog Patricia, it’s all my pleasure! Cheryl, yes indeed, so true.